Book Horde: FREE from Henry Vogel: Scout Trilogy and I'm in Charge! FREE from Henry Vogel: Scout Trilogy and I'm in Charge! 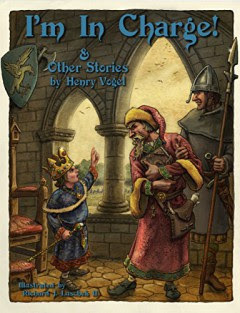 Today only, two great steals FREE from Henry Vogel. First is the complete Scout Trilogy: Three Planetary Romances. This includes Scout's Honor, Scout's Oath, and Scout's Duty. You will never get a better deal on good ole space adventure fun than this! 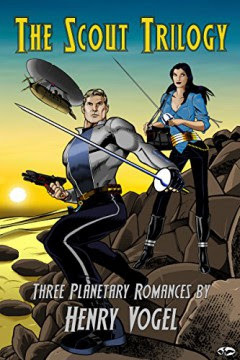 Here, for the first time in one volume, are the adventures of David Rice, Terran Scout First Class, who crash-landed on the lost world of Aashla, rescued and befriended Princess Callan, heir to the throne of Mordan, and found himself thrown from the space age to the steam age in the blink of an eye. Marooned without hope of rescue on a world of primitive airships, treacherous air pirates, royal court intrigues, and bloodthirsty monsters, David struggles to learn the ways of his adopted home-world, at the same time as he struggles with his growing feelings for Princess Callan and his iron determination to change just one thing: Aashla will not remain lost! Also FREE today is the wonderful, silhouette-illustrated, read-aloud children's book I'm in Charge! & Other Stories. I reviewed it when it first came out and it would make a great gift for any parent to read to their kids at bedtime. In case you missed the free deal today, these books are free for Kindle Unlimited subscribers. If you want to see if subscribing is right for you, can get a Kindle Unlimited 30-Day Free Trial.